Awhile back I found these amazing little 'minimergency' kits at Sephora. I always thought they were such a clever idea, as they really fit so many great 'just-in-case' products right into one clever little pouch. 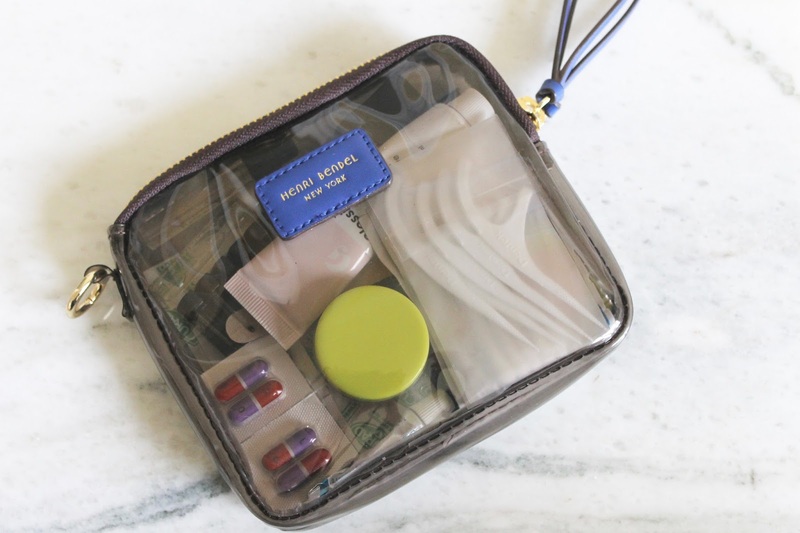 I liked the idea of having this little kit ready to go and on-hand at all times, it's for those of us frequent handbag changers, for those situations when you're going somewhere and you're not sure what'll come of it, or for last minute weekend trips and travel in general. 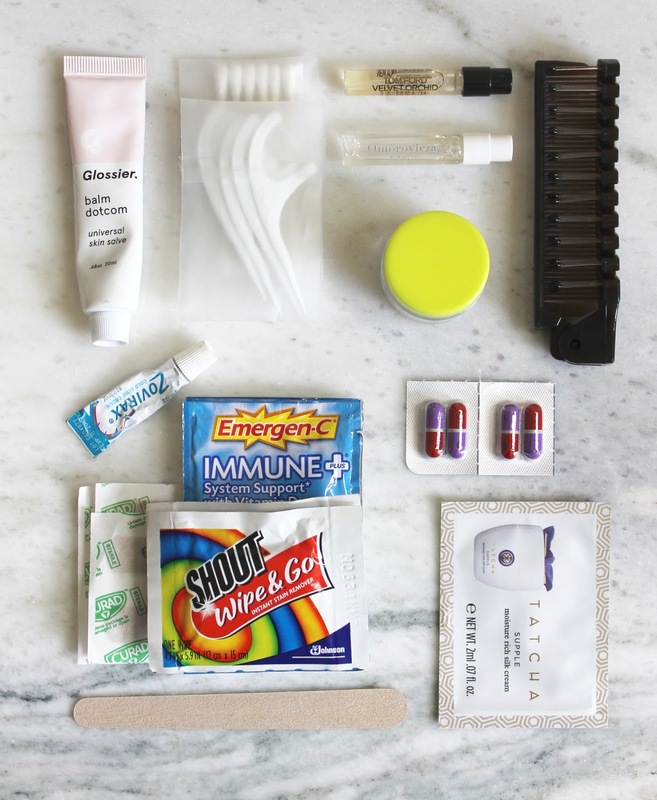 The last time I went on a weekend trip I wish I had a handy little must-haves kit pre-packed; so I put together one of my own tailored to my emergency situation needs. Just toss this into your tote or keep it in your handbag so you won't have to make one of those inevitable drugstore runs when you realize you have no nail file or advil. Here's what's inside and a mini checklist so that you can create your own tailored one as well. 2) Stain remover. Whether it be a Tide to go pen or these Shout wipes, this is for the times you accidentally spill red wine on that brand new white dress. Get it out before it's ruined! 3) Band-aids. A must-have (especially when traveling) to avoid having to buy an entire box for 10 euro. Enough said. 4) Immunity Booster. For when you're feeling under the weather. Add Emergen-C to water for a vitamin boost. 5) Cold medicine. The likelihood you'll get sick on-the-go is always greater than when at home. Keep cold medicine and cold sore cream on you just in case. 6) Moisturizer. 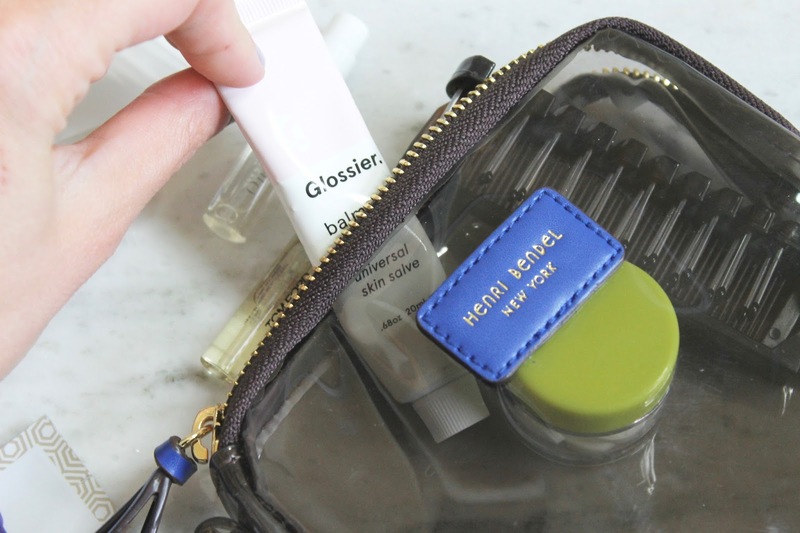 If you're feeling particularly parched and need a boost, a tiny tube or sample sachet is the perfect way to avoid digging around in the rest of your toiletries. I'd just use this and toss the sachet after. 8) Advil. I pack mine into a sample sized cream jar and keep them on me at all times. When they're gone I just refill. 9) Skin salve/balm. A universal moisturizer that can be used on everything from cracked lips and elbows to split ends and dry cuticles. 10) Qtips. You never know when you'll need one. 11) Toothpicks/floss. Dentil hygiene guys. I get these two-in-one floss picks for efficiency. 12) Sample fragrance. 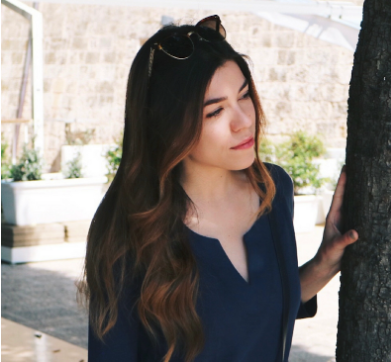 I always like to smell good no matter where I am. I'll pack a sample vial always, but the size varies depending on how long I'll be away for. I like the Byredo ones for full-week travel. 13) Facial spray. It's a great way to refresh makeup and instantly hydrate the skin. Especially handy on long haul flights! Of course, you can add and remove things as you see fit. This is the kit I keep pre-made, but if I know I'll be going somewhere further or in a different climate, I may add a few things or swap out others. Other handy items to toss in include hand sanitizer, safety pins, bobby pins, sewing kit, concealer, travel mascara, hair elastics, deodorant towelettes, hair spray, and clear nail polish. Do you keep a 'just in case' kit too?